The only rock relief in Europe, the Madara Knight, is situated on the high rocks of the Madara Plateau, just a few kilometers from the first Bulgarian capital Pliska. 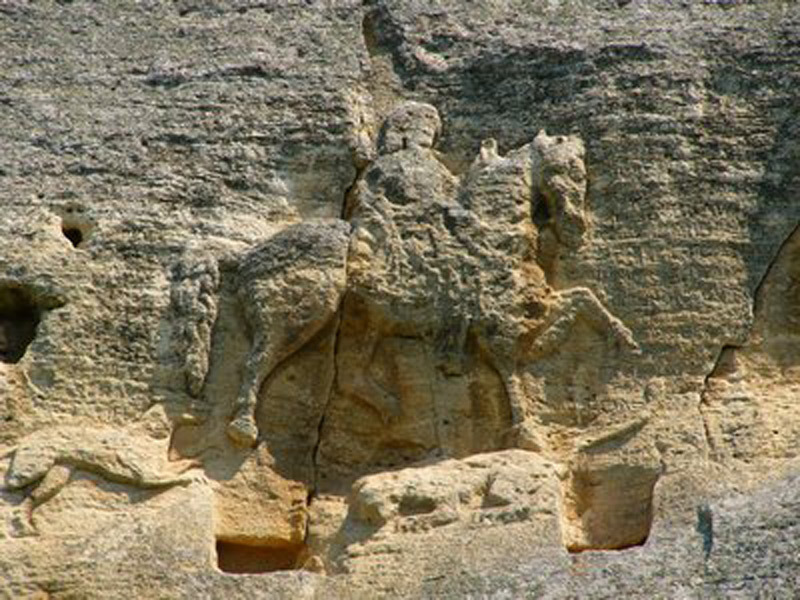 The Madara Rider is a medieval bas-relief carved in a rock, located around the village of Madara, 20 km away from Shumen. It has been declared a UNESCO World Heritage Site. It is cut at 23 meters in a vertical rock. Its dimensions are 3.1 meters (width) and 2.6 meters (height). A rider, a dog, a lion and an eagle are depicted on it. There are also inscriptions in Greek. The knight is made in real size. He is dressed in a garment, long to his knees. With one hand he holds the horse’s reins, and with the other he pierces a lion with a spear. The saddle of the horseman is high-backed, his right leg is in the sling, and on his back there is a gripped bowcase. The Madara Knight was discovered in 1872 by Felix Kanitz. Since then, science has been constantly debating what the relief is. Time and nature have damaged the image. The reason for disagreement is also the fact that there are no such monuments, which makes comparisons by analogy difficult. Some researchers consider the Madara Rider to be a Thracian deity – the Rider Heros, Darzalas or Artemis-Bendida. There is even a hypothesis that it is an image of the Persian king Darius. According to the latest assumptions, the relief depicts the hero-horseman of the mythology of the steppe peoples, including the Proto-Bulgarians. It is also supposed that on the rock has been cut off their god Tangra. Others associate the relief with Khan Omurtag, who creates a cult complex on the terrace under the rocks. It includes pagan temples, pagan sanctuary, residential, palace buildings and other buildings. There is a cave at the foot of the rocks, which is called the “Nymph Cave”. In it the Thracians honored their deities. There were found votive tablets and cult figures of Zeus, Three Nymphs, Dionysus, Heracles, Cybele and Heros (Thracian hero). People have been attracted to this place because of the beautiful nature, water and majestic rocks. The man has settled there during the New Stone Age (Neolithic) and has not left it anymore. He has built many fortresses, mansions, palaces, temples and monasteries over the centuries. Traces related to the spiritual and material culture of various ethnic communities, including primitive people, Romans, Thracians, Slavs, Byzantines, Bulgarians, Turks, etc. were found. The antique history of Madara was first published after excavations were made on two tombstones in the 1930s. It is clear from the funeral inventory that there was a trade relationship between the Thracians and the Greeks. The Madara Rider is one of the 9 Bulgarian sites under the protection of UNESCO. For centuries The Madara Knight near Shumen has attracted the attention of tourists and explorers, because it is the only rock relief in Europe, the legacy of our ancestors and of their greatness. 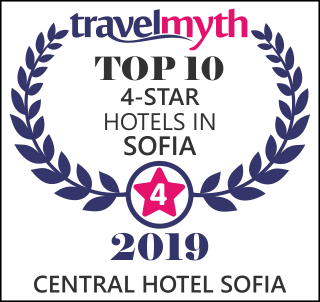 More about Bulgaria and its most famous sightseeing sites, read here.